Spain, Castile. Alfonso VI, AD 1073-1105. Silver denaro. Size : 17.8 x 18.6 mm. Weight : 1.08 grams. Reference : Th-2689 variety (different mint). Grade : VF with some weakness. Obverse : Cross, with ANFVS REX around. 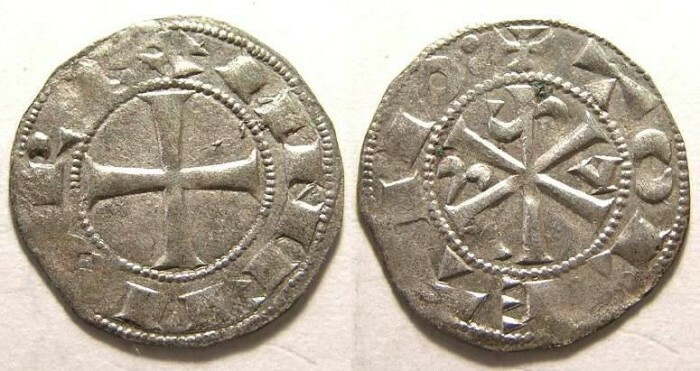 Reverse : Chi-Rho with TOLETIIO around.